Planet earth is round AND pizza is round = we’re here to eat pizza. Bring a family of four into our Inflata-Park and we’ll throw in a 12" pizza for your hungry tummies — at only £49! Available every Monday and Wednesday at 6pm. It turns out that eating pizza regularly boosts your bouncing capability by at least 2.5 meters, this has been scientifically proven. 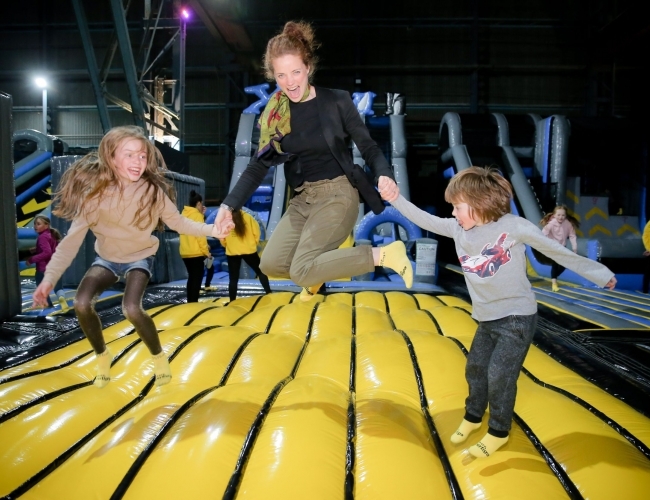 Inflatable Fun for all the family (children aged 4yrs+ and parents) every Monday and Wednesday at 6pm! This admission covers 4 participants as well as a 12" stone baked pizza after your sessions - and don't worry about the washing up afterwards!